Flannerys Organic & Wholefood Market recently opened a store in Mona Vale, their first store in Sydney. While they are quite a big player in the organics and health food market in Australia, they really like to be known as a local, friendly health food store where community comes together. As World Food Day occurs this week on Tuesday October 16th and World Vegan Day on November 1, having access to the best in-season organic produce and wholefoods available without having to go to the farm gate is proving to be a boon for residents. Flannerys was started over 30 years ago by Mal and Berris Flannery who recognised people wanted access to pesticide free food and natural products. Their business was bought by Tino and Lynn van Nieuwburg in 2008, who carried forward the vision to give communities access to pure foods, and were recognised in 2010 in being awarded both the National and Queensland National Organic Week Retail Awards. Presented by Australia’s leading organic industry body, the Biological Farmers of Australia and the Centre for Organic Research and Education, the annual industry awards are one of the highlights of a national line up of organic events and celebrations as part of National Organic Week. Since then Flannerys stores have won in 2011, 2012, 2013, and 2014. Flannerys is committed to the health of the communities it serves, and takes this commitment seriously. The company believes in providing reliable, unbiased information relevant to health and wellbeing. This includes ensuring that consumers are aware of the natural health products they are purchasing. In the store, customers can consult with qualified naturopaths - Caroline Roberts is the Flannerys Naturopath at Mona Vale and recently contributed A Spectacular Spring to their regular Blog posts. Flannerys Organic & Wholefood Market in Mona Vale not only prides itself on delicious natural products that are in season, it also backs local Pittwater businesses. Walking into Mona Vale’s Flannerys Organic & Wholefood Market is an olfactorial and visual feast. Pittwater residents go there to stock up on healthy and wholesome ingredients, seasonal organic produce, vitamins, supplements, raw nuts and seeds, the herbal dispensary, specialist foods and diets and natural skincare. Anyone who has suffered eczema or psoriasis knows how debilitating it is. With a background in science, aromatherapy, beauty and massage, the seeds of Juniper skincare products were sown 14 years ago when its Newport-based founder, Jayne Shepherd, met her husband, who suffered from psoriasis. He was frequently prescribed cortisone to quell the breakouts, but the steroid can have many nasty side effects. Jayne’s interest in natural skincare was piqued even more when her mum was diagnosed with breast cancer a few years later. “The sensitivities caused by the cancer treatment played havoc with my Mums body,” she says. “We found that most products irritated the skin and did nothing to help it. We changed her diet and reduced stress. “There was a significant improvement in her skin, but we found that external products to calm and nurture the skin were still needed.” During this stressful time, their first daughter was born and soon developed severe eczema. Again, her family went through a string of tests and were again, told to use a mild cortisone. This spurred Jayne to leap into action and make her first batch of Juniper products. Amazingly, they healed their daughter’s eczema. Now, the cruelty free range, which are made from first grade certified organic and natural raw ingredients sourced mainly in Australia, and has more than 30 products, spanning every skin type and condition. They’re practitioner-only recommended by naturopaths, doctors and surgeons, herbalists and beauty therapists – Juniper does not sell to any pharmacy. Its Warriewood warehouse employs six local residents and the products are a hit with locals, with them literally flying off Flannerys Organic & Wholefood Market’s shelves. Samples are available instore for people to try before they buy, and all skin types are colour coded to make finding the products easily. The business is based in Warriewood and run by Alyse Berriman and Trent Butler, and has a range of colourful nutrition drinks and supplements aimed at both men and women. Liquefy’s brightly-coloured health drinks, which include kombucha, sports waters, various turmeric elixirs and iced teas are in the fridges on the left as you enter Flannerys’ Organic & Wholefood Market. Its apple cider vinegar is also a hit with Flannerys Organic & Wholefood Market customers, who appreciate its many health benefits, including “that it triggers your acidic responders in your stomach which makes you basically feel like you just had a big meal”. SUP Supplements’ funky turquoise Women's Essentials multivitamin uses an Australian-first technology and the first batch sold out immediately. It combines both vitamins and fish oil in one pill, with some vitamins encased in a hard tablet which is sitting in the fish oil, so you get to see the tablet rolling around inside. 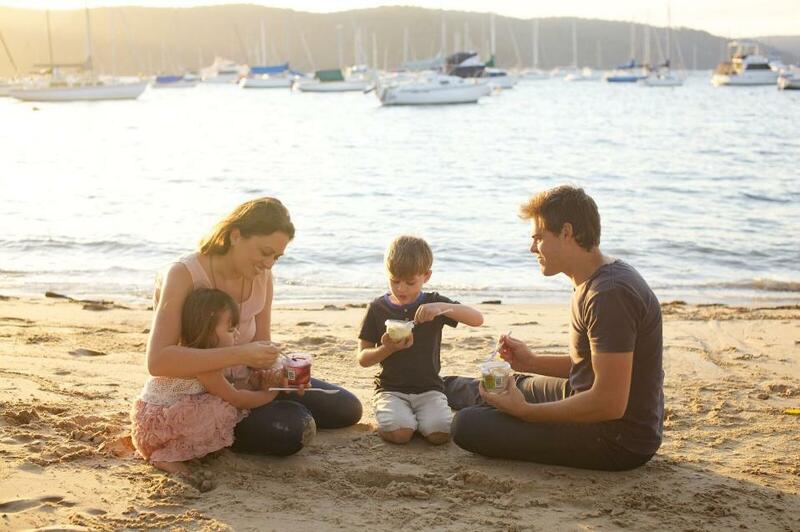 Multi-award winning organic and vegan yoghurts for health conscious customers, Bilgola couple Josh and Chauntelle Ready have two distinct brands – Eat Organic Yoghurt and Kubu Coconut Yoghurt alternative. All products are free from artificial colours, flavours, preservatives, gelatine and gluten (except Breakfast), and boast a healthy level of sugar and fat, yet high in nutritional value – all while making your taste buds dance! The company’s aim is to provide yoghurt products that allow people to eat healthily and responsibly, without sacrificing delicious, gourmet flavours, and the eye-catching packaging sets them apart from the crowd. “We’ve always enjoyed delicious food, but nurturing our young children has heightened our awareness of the nasty ingredients out there – it often seems a Chemistry degree is required just to read the label!” says Chauntelle. Flannerys’ ethos is going by the flow and rhythm of nature – so only buys seasonal quality produce. Visit their Mona Vale store today. Organic food is food you can trust. It does not contain Genetically Modified Organisms (GMOs), hormones or synthetic additives. All organic farms and food companies are independently inspected at least once a year and comply with relevant organic standards. More than 7,200 registered biocide products, such as pesticides, are used in Australian agriculture and these are often present in non-organic food. Organic food is grown without the use of chemical herbicides, fungicides, insecticides or synthetic fertilisers. Eating an organic diet for just two weeks has been proven to rid the body of nearly all pesticides! Organic is not only about food - up to 60% of what you put on your skin absorbs into your system. On average, most women apply 126 different ingredients to their skin on a daily basis and roughly 90% of these ingredients have not been evaluated for safety. Synthetic colouring agents, fragrances, ethoxylated ingredients, silicones, paraffin, petroleum products and animal testing are prohibited under organic standards. Organic farming follows strict animal welfare regulations providing living conditions which allow animals to express their natural behaviours. It does not allow the use of hormones or routine antibiotics and it uses organic feed for the animals. Animals on organic farms are truly free range, happy and healthy. Many organic farming practices (e.g. minimum tillage, returning recycled organic materials to the soil, the use of cover crops and rotations...) increase the return of carbon to the soil, raising productivity and favouring carbon storage. This in turn creates healthy living soils which are more resistant to droughts/floods and therefore more resilient to climate change. On average, organic farms support 34% more plant, insect and animal species than non-organic farms. For pollinators such as bees, the number of different species is 50% higher! Eat Gourmet Organic Yoghurt - Josh and Chauntelle Ready.